Chicago Mayor Rahm Emanuel appears to be reversing course and says he now "welcomes" a Justice Department investigation in "systemic issues embedded" in the city&apos;s police department. The mayor&apos;s office Thursday morning released a statement seeking to "clarify" Emanuel&apos;s comments Wednesday, in which he suggested a federal civil rights pattern-and-practice investigation "in my view, would be misguided." Emanuel now says he is open to a longer-term review of the Chicago Police Department to improve accountability and restore public trust. The comments come a day after Democratic presidential candidate Hillary Clinton called for an independent Department of Justice investigation. "Hillary Clinton is deeply troubled by the shooting of Laquan McDonald and the outstanding questions related to both the shooting and the video," Clinton spokesman Brian Fallon said in a statement. "Mayor Emanuel&apos;s call for a task force to review practices of the Chicago Police Department is an important step, but given the gravity of this tragic situation, she supports a full review by the Department of Justice.&apos;"
Emanuel&apos;s office said his comments Wednesday, that a new investigation would be misguided and that he doesn&apos;t want the feds "hitting the reset button," refers to the ongoing federal investigation into the Laquan McDonald case only. 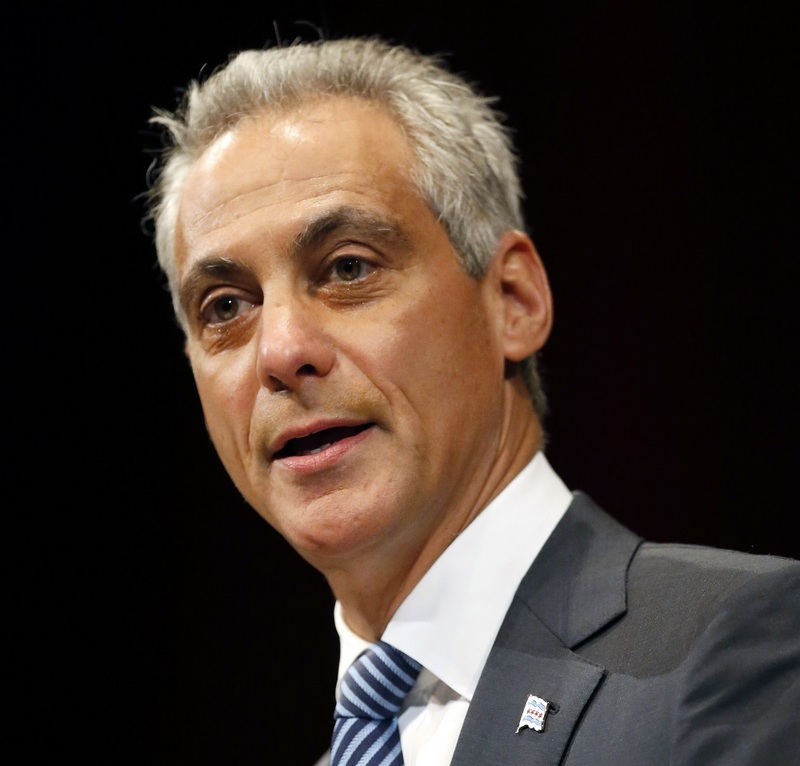 He again urged the U.S. Attorney in Chicago to finish that year-long investigation soon. "Many things must happen to restore trust in the Chicago Police Department and I welcome efforts and ideas that can help us achieve that important goal. I want to clarify my comments from yesterday and I want to be clear that the City welcomes engagement by the Department of Justice when it comes to looking at the systemic issues embedded in CPD. First and foremost, we need answers as to what happened in the Laquan McDonald case, which is why the United States Attorney should swiftly conclude his year-long investigation and shed light on what happened that night, and the actions of everyone involved. As it relates to a longer-term review of our police department and efforts to improve police accountability, I am open to anything that will help give us answers and restore the trust that is critical to our public safety efforts. I trust the Department of Justice to make the right decision based on the facts and the law. Like every Chicagoan, I want to get to a place where we&apos;re permanently addressing the entrenched issues in our police department. Our residents deserve that, as do our police officers. Adherence to civil rights and effective crime fighting go hand in hand." On Tuesday, Mayor Emanuel announced that a six-member Police Accountability Task Force would immediately begin a top-to-bottom review of the system of oversight and accountability training and transparency that is currently in place at CPD. In his speech, Mayor Emanuel said: "Every day, we must ensure the checks and balances are in place to keep the confidence of Chicagoans ... There are systemic challenges that will require sustained reform. It is a work in progress as we continue to build confidence in our police force." Q: Yesterday, the Illinois Attorney General requested the US Department of Justice Civil Rights Division investigation whether practices by the Chicago Police Department violate the constitution and federal laws. Do you worry that&apos;s the case? A: No. I want everybody to remember this. First, the city had a civil – there&apos;s kind of three legal tracks and three kinds of oversights. On February 27, the family came and approached the city. We reached a settlement in and around the civil case and then took it to the City Council. If you go and look back at what Steve Patton said in front of City Council, a lot of that was there and in public domain. Immediately after the incident, back in February 2014 – so 14 months ago, within weeks, I think two weeks — the U.S. attorney and the State&apos;s Attorney both opened up investigations with the FBI as an investigatory body. They had all materials, all the tapes, all the background. We settled – as I said – in April. But started in the discussions end of February when the family approached. As you now know, the State&apos;s attorney concluded her investigation. There&apos;s an ongoing investigation by the U.S. Attorney&apos;s Office here in Chicago with the FBI. My view is that given the period of time they&apos;ve had the information, like everybody else, I await their conclusion. They are looking into this situation and all the aspects around it. I think an additional layer prior to the completion of this, in my view, would be misguided. And if you notice, they are doing a thorough job, given that they had the information two weeks after, just immediately after the incident. They are doing a thorough job, and hitting the restart button on a whole new investigation does not get you to the conclusion in an expedited fashion. Q: But those are two different things. What she&apos;s looking at is a civil rights investigation. It would look at pattern and practice at the police department. It would be a more sweeping view. Other cities have done it – would you welcome that? A: Well, what I would first welcome is the conclusion of the existing investigation by the U.S. Attorneys right now that&apos;s present. I think that one of the reasons I asked the former head of the Civil Rights Division, Deval Patrick, to be an outside adviser and senior adviser to this working commission is because it&apos;s exactly the question he is familiar with and he has a different set of eye — I think is essential. Before the U.S. Justice Department would ask the local U.S. Attorney and FBI to take on additional work, I would them to complete the work – I understand these are very hard cases. And so they are taking on and look at all the perspectives around this case.